Google Play has suspended Aerial TV due to “[Aerial TV] claims to provide copyrighted contents from TV channels”. According to Google apps that display live TV are of “questionable nature”. I am trying to clarify what they mean. I would like to apologize to all affected users. If you have any concerns, feel free to get in touch with Google directly. This is quite odd and probably a mistake. But if you are looking for Aerial TV it is now available on the Amazon app store with a current 35% discount. If you bought the app on the Google Play store then to get new updates you will need to uninstall it, contact the developer for a refund, and then purchase it again on the Amazon store. More info about that is available on the Facebook page. Updates about it’s availability will always be provided on the official website at aerialtv.eu. Over on the user submitted hackaday.io community, user marble has shared his work about using a HackRF to transmit PAL analog colored TV images with his rad1o (the rad1o is a slight variation of the HackRF One) using a GNU Radio flowgraph. In his submission he shares a tutorial that explains the theory behind the PAL analog video standard. He explains the different components of the PAL signal, including the luma (black and white part), frame rates, and modulation. He then goes on to explain how color is encoded onto the PAL by using Quadrature Amplitude Modulation (QAM). Finally in the files section marble also supplies us with the GNU Radio flowgraph which can be used to transmit PAL video with a HackRF. 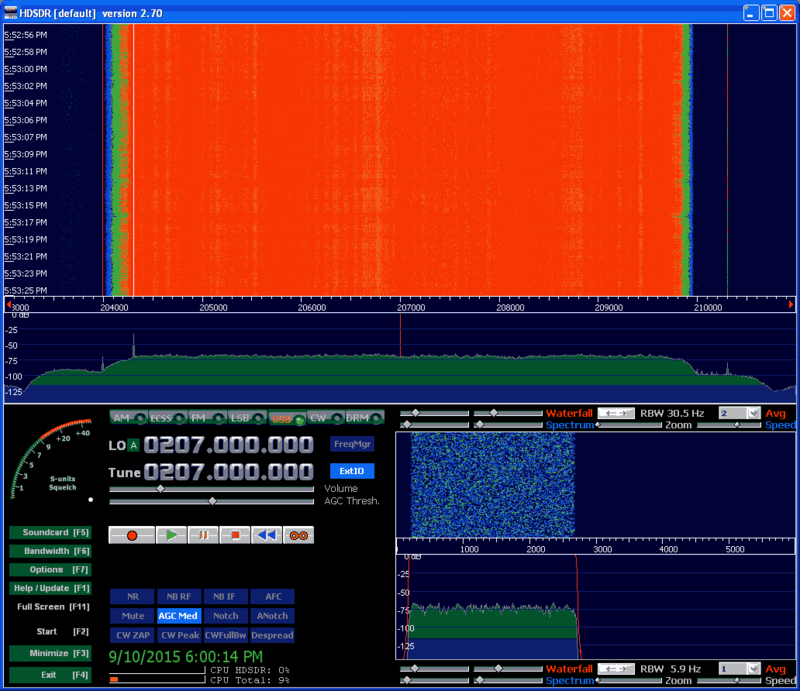 PAL test signal transmitted with a HackRF. ATSC is the digital HD TV standard used within the United States and Canada. It is 6 MHz wide so the RTL-SDR with its maximum bandwidth of about 2.8 MHz cannot decode this signal. However, higher end SDR’s such as the SDRplay, Airspy and HackRF have larger bandwidths that can easy cover 6 MHz. One SDRplay owner was able to figure out a way to decode ATSC by using a decoder written in GNU Radio. With the process the author used we note that other wide band SDR’s such as the Airspy and HackRF should also be capable of achieving the same results. The process the author used was to first record a RAW IQ WAV file in HDSDR in Windows, making sure that any DC spike correction is applied. 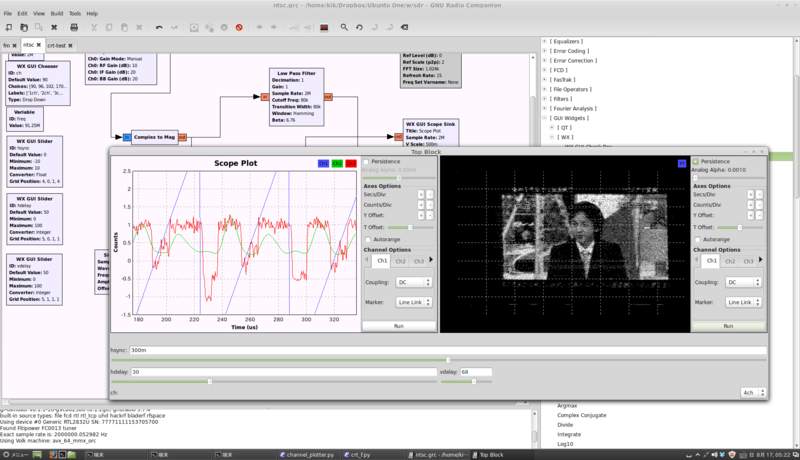 The WAV file is then opened in a premade GNU Radio flow graph in Linux and processed into an MPEG file. The process is not real time. The authors article shows a step by step tutorial on how its done. In an update post to his results the author also notes that to successfully do a recording at the maximum SDRplay bandwidth of 8 MHz a RAM disk or perhaps SSD is required so that samples are not dropped. 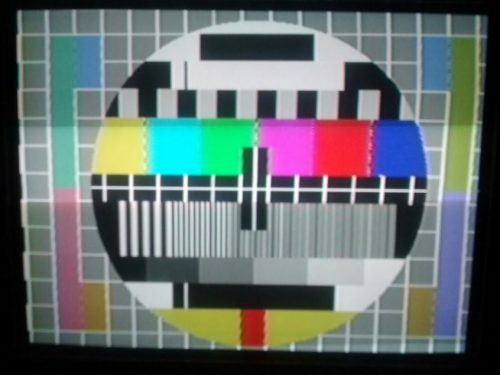 The SDR# plugins programmer over at rtl-sdr.ru has recently released a new plugin which allows the decoding of PAL / SECAM TV images from within SDR# (note link in Russian, use Google translate or see the download link at the bottom of the page). The author also writes that if you are using a newer software defined radio like an Airspy, you can also receive the audio channel using the SDR# multiple VFO plugin. We note that there is also the TVSharp software by the same author which is a standalone program that can decode PAL and NTSC. Over on GitHub user kik has uploaded a tutorial and code showing how to decode NTSC analogue TV in GNU Radio and an RTL-SDR. The tutorial is in Japanese, but Google translate should be good enough to understand the text. Kik shows us what GNU radio blocks to use and provides the python code needed to display the images on a simulated scope. If you just want to receive analogue TV signals, try TVSharp. A user on the SDR# Google Groups forum has posted a program based on ADSB# called TVSharp, which can be used to watch analogue PAL and NTSC TV using the rtl-sdr dongle. Download TVSharp directly here (Mirror 1) (Old Version Mirror 2 (with source)). The rtl-sdr as a software defined radio actually does not have enough bandwidth to receive a PAL or NTSC signal properly. PAL and NTSC signals require more than double the 2MHz typical bandwidth of the rtl-sdr. But, a decent black and white signal can still be obtained by using some of the luminance part of the signal. As only part of the signal is sampled, resolution will be lost. Also, as sound is broadcast on a separate frequency, a second rtl-sdr dongle will be required to receive the matching audio. On YouTube, users Superphish and ek6rc have posted videos showing TVSharp in action.